This teaching by pastor Barry was given as part of our family service on 23rd April 2017. 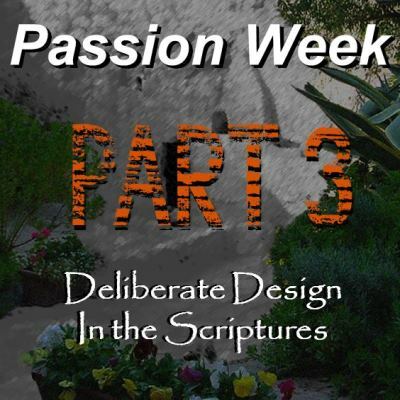 This is the third part of a 4-part study looking at Passion Week (the name we give to the last week Jesus spent with His disciples leading up to the Crucifixion and Resurrection). In this session, we show the consistency and harmony of the gospel narratives and that different information (as recorded by each of the different Gospel writers) does not constitute different events or contradictions. Furthermore, despite what the critics have tried to claim, the Gospels were written well within the ‘eye-witness period’ (as competently demonstrated by Dr Bill Cooper in his ‘Authenticity of the New Testament Pt1 & Pt2), and have been demonstrated to be eyewitness accounts of actual historical events that took place in Israel 2000 years ago. We go from Caesarea Philippi in the autumn/winter of AD31, following Jesus’ journey from Mt Hermon, down to Galilee, and onto Jerusalem for the most important week in human history. When we look at the combined picture painted by Matthew, Mark, Luke and John we make some interesting observations and see the events as if we were able to go back in time and witness these things first hand.